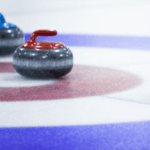 Hey everyone, don’t forget to sign up for the Carter’s Cresting Mixed Bonspiel! It’s being held March 20 – 21st, 2015. Deadline for entries is March 11th! Contact Peter Rushton to sign up ([email protected] 902-664-8191) or the signup sheet at the club. See the poster below for further details.